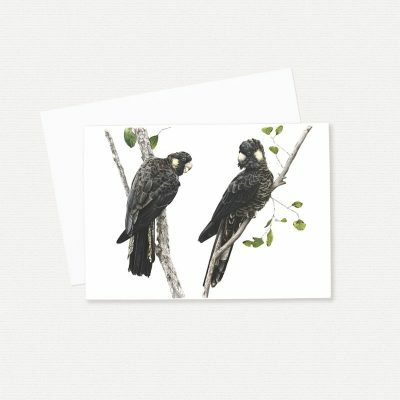 Pale-headed Rosella greeting card (blank inside). Pale-headed Rosellas (Platycercus adscitus) are a type of parrot native to north-eastern Australia. They are found in open woodlands and males and females are similar in colouring. They have pale yellow heads and stunning blue and yellow colour combinations in their feathers.